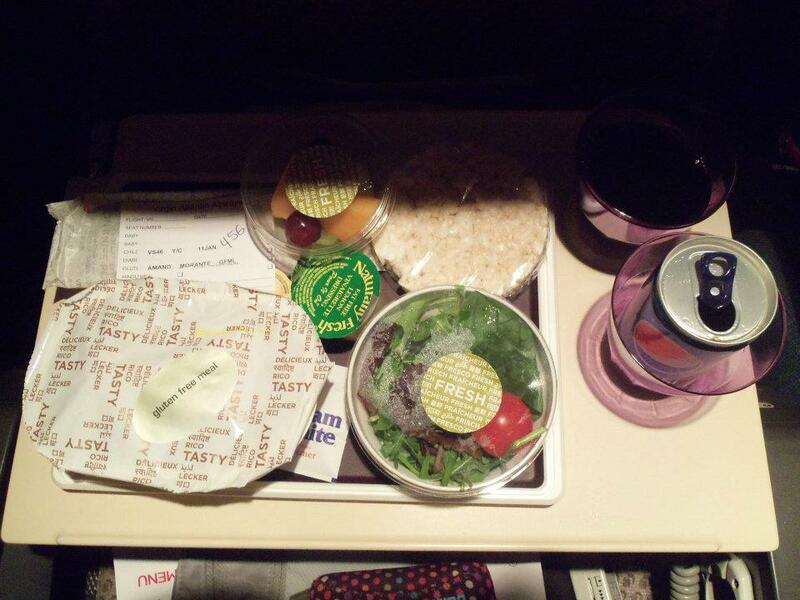 I received this wonderful Gluten Free meal on my Virgin Atlantic flight to London. Lemon chicken with vegetables, rice cakes, fruit salad, salad, Pepsi, and red wine. On the way back I even got a gluten free roll with my meal and an apple cobbler, along with some Gü chocolate mousse! I never thought I would enjoy airline food so much. Thanks Virgin! This entry was posted on February 1, 2012 by Amanda. It was filed under Food, Gluten Free, Travel .